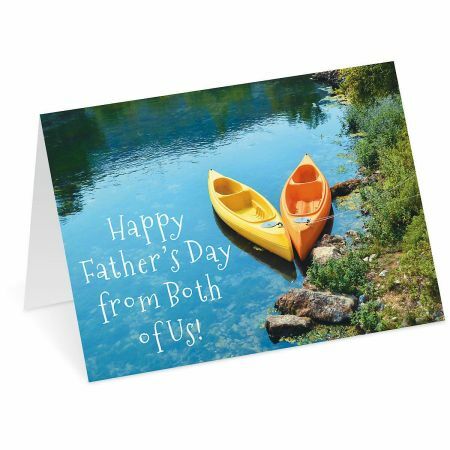 Beautiful view of serene waterside will certainly inspire one of your favorite guys to open this 5" x 7" Father's Day card. Inside is an expression of appreciation for great fathers. White envelope included. Printed in the USA. Inside: Great dads like you make the world a better place. Hope your day is filled with all the things you love.